you may fill up an order form, send an email or a Viber message regarding the details of your order. Do you have a store/show room I can visit? 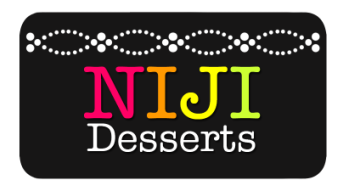 Niji Desserts is a homebased, online shop. Product references can only be viewed online. Please refer to the Menu & Pastry Portfolio section which has an extensive gallery of Niji Desserts' works. ​lease be guided by the Product Care section for details on prolonged storage of products. How do I claim my order? Can I have my order delivered? You can claim your order at our home in Xavierville 3, Katipunan, Quezon City. Meet-ups or deliveries can be entertained subject to availability from Mondays-Saturdays and mornings on Sundays. outside NCR and south areas of NCR. Delivery charges will be applied. It's best to send me an email since it will be easier to redirect you to the information you need online.